News and views from Diamond Environmental Ltd.
As an occupational hygienist, when visiting the Alexander Calder exhibition at Tate Modern last week I couldn’t help but stop and take notice of the pictures and description of one of the works created by this American artist well known for his mobiles and other “kinetic sculptures” . A mercury fountain. Mercury, the magical Quicksilver, has been known since ancient times. A metal that’s a liquid at room temperature that flows like water. Being a liquid, vapours are given off which can be inhaled and it can also be absorbed through intact skin. It’s highly toxic, affecting the brain, gastrointestinal system and kidneys. It’s particularly noted for causing neurological and behavioural disorders due to brain damage. Symptoms include tremors, insomnia, memory loss, neuromuscular effects, headaches and cognitive and motor dysfunction. In Victorian times mercury compounds were used in the manufacture of felt for hats and the workers in that industry were particularly affected. 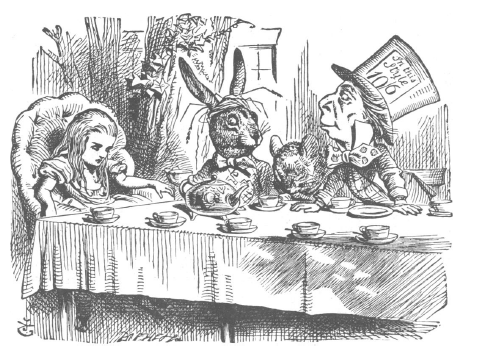 This is said to have inspired Lewis Carroll’s “Mad Hatter” from Alice’s Adventures in Wonderland. This was disputed by the esteemed Professor Hugh Waldron back in 1961, but the myth persists. In the mine, the highest exposures occurred during drilling, with values up to 2.26 mg/m3 in air, 2194 μg/l in urine and 374 μg/l in blood. Furnace operation and cleaning were the tasks with the highest values in metallurgy, peaking up to 3.37 mg/m3. The filling of bottles with mercury by free fall gave values within a range of 1.13–2.43 mg/m3 in air; these values dropped to 0.32–0.83 mg/m3 after introducing a new ventilation system. I found it a little ironic that a work of art created in support of a government dedicated to improve the lot of working people celebrated an industry likely to have been responsible for poisoning the workers in the mine where it was extracted. Although it seems likely that visitors to the exhibition back in the 1930’s would have been exposed to mercury vapours, given the relatively short period that they would have been in the vicinity their exposure would have been limited and its highly unlikely there would have been a significant risk to their health. However, I’d be more concerned about the staff working in the Spanish Pavilion. 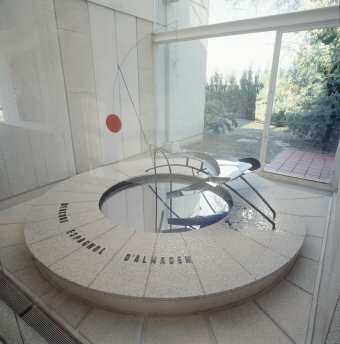 Today the fountain can be seen at the Fundació Joan Miró museum in Barcelona – carefully displayed under glass. Hopefully appropriate measures are taken to protect the workers who have to maintain it from the toxic liquid and vapours.